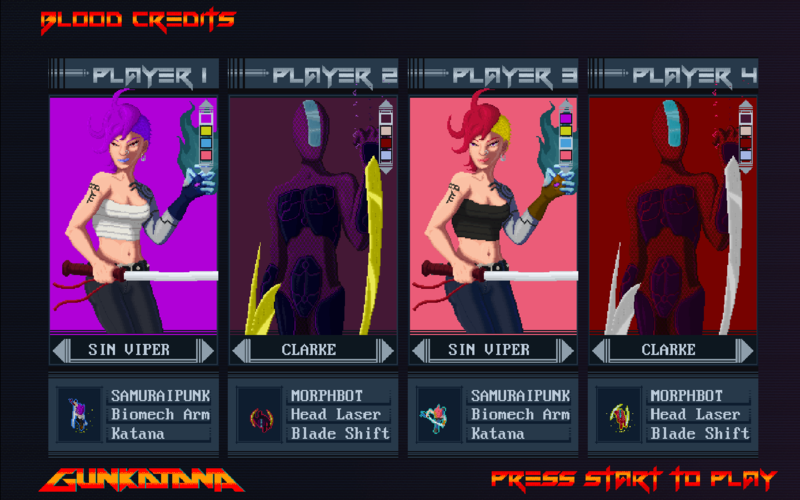 Gunkatana is headed to Kickstarter. The game’s official website informs me: “Gunkatana is a game of two speeds: turbo fast and dead. Fast ‘n’ dangerous grind rails take you to your next kill, across neon-lit streets and rain-soaked cityscapes”. It’s like Hotline Miami had a baby with OlliOlli, and its cries sound like BroForce’s macho-man voiceover! I like the whole rail-grinding mechanic, too, and the laser-deflection system. That definitely gives the title something of a unique edge, and separates it from its influences just enough to give it an identity of its own. The game is already picking up some decent momentum, having already been greenlit on Steam. There’s an alpha demo out in the wild, too, that’s been picking up some buzz from several major industry outlets. It’s definitely one to keep an eye on, and I can already see Kickstarter marking it as a ‘Project We Love’. We’ve chosen the crowdfunding concept for our team and Gunkatana. The idea of being engaged with the community in a constructive process of creation is incredibly exciting for us, and indeed it’s how Gunkatana has been created so far, albeit at a local level. Now we’re ready to take it global! If you can’t wait to get your metaphorical cyber claws on the gamepad and start killing your friends with impunity, lend us your katana! Help us with our upcoming Kickstarter campaign! We’ll unleash it onto the cyberweb in the coming days, so stay tuned for the announcement! With regard to Gunkatana’s campaign details, such as how much the project is hoping to fund, we’ll have to wait and see. I’m also curious to see how fleshed-out the campaign is. However, so far, everything looks great, even in this pre-campaign stage, and I’m sure Gunkatana already has everything it needs to be successful. Look out for the game’s arrival on Kickstarter over the next few days. In the meantime, check out the game’s official website, and of course, for future coverage, stay tuned to Cliqist.